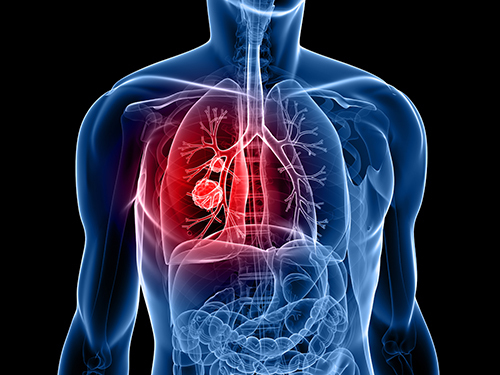 Bristol-Myers Squibb (BMS) plans to use Natera's Signatera custom circulating tumor DNA (ctDNA) assay in a Phase II study designed to assess the pharma giant’s cancer immunotherapy Opdivo (nivolumab) as an adjuvant treatment for non-small cell lung cancer (NSCLC). Under the collaboration, whose value was not disclosed, BMS will use Signatera to select patients deemed to have minimal residual disease after surgical resection to receive adjuvant standard of care, either with or without Opdivo. The first patient is expected to enroll in 2019 once Natera completes validation of its Signatera ctDNA assay under the Clinical Laboratory Improvement Amendments (CLIA) Act. Charles Swanton, M.D., Ph.D., of the Francis Crick Institute in London will lead the study, which according to Natera is the first prospective clinical trial that incorporates the Signatera ctDNA assay in adjuvant NSCLC. Signatera, which until now has only been approved as a research use only test, is designed to provide each patient with a customized blood test tailored to match the mutations found in that individual's tumor tissue, with the goal of maximizing sensitivity and specificity. Signatera is also designed to allow researchers to track additional mutations of interest, up to several hundred mutations, for clinical studies. According to a Natera estimate, approximately 12.6 million people in the U.S. have been diagnosed with early-stage cancer across tumor types, based on data from the American Cancer Society and the National Cancer Institute SEER Program. In addition to the upcoming trial, Natera is planning 24 studies with 19 companies, including “most” of the top 10 pharmaceutical companies—which were ranked in November 2017 by Clinical OMICs sister publication GEN. These studies include prospective trials correlating clinical response with ctDNA levels for personal cancer vaccines, as well as targeted therapies. Combined with previously disclosed investigator-initiated studies in breast, lung, colorectal, and bladder cancer, Natera said, these studies lay the foundation for Signatera's clinical validation as a pan-cancer assay. Natera previously partnered with Dr. Swanton, as well as researchers from UCL Cancer Institute, in the TRAcking Non-small Cell Lung Cancer Evolution Through Therapy (Rx) or “TRACERx” study (NCT01888601), whose results offered an early clinical validation of Natera's approach in NSCLC. In results that were published last year in Nature, Signatera was shown to detect residual disease, measure treatment response, and identify recurrence up to 11 months earlier than the standard of care for early stage NSCLC, with 93% sensitivity and zero false positives. At the 2018 American Association for Cancer Research meeting, Natera presented additional successful results from bladder and colorectal cancer studies using Signatera, including median detection points of ctDNA that were 4.3 and 7.9 months, respectively, ahead of clinical relapse detection.